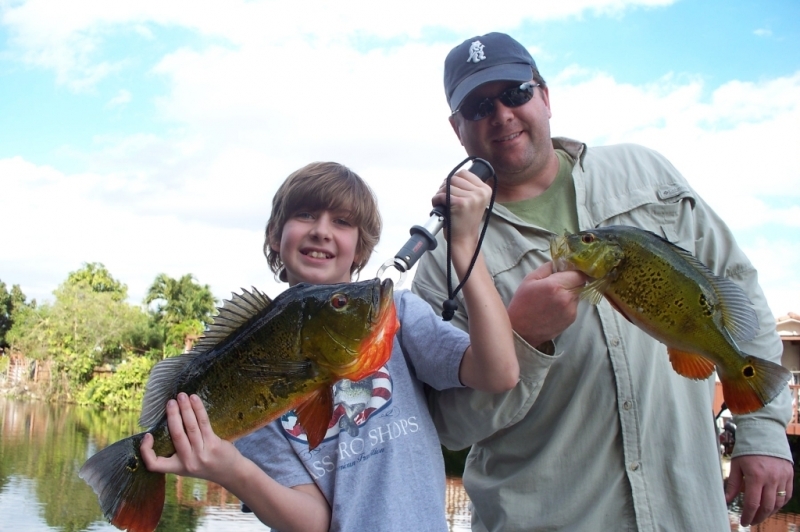 Today was a very special day, as he brought his son down for two days of Florida freshwater fishing. I warned Dave about the cold fronts coming in and it may slow the peacocks down a bit. But, he really wants Daniel to catch a peacock bass, so off we when to peacock bass fishing in South Miami where the water is warmer. We started our day off with Daniel catching his first Tarpon, which started the day out pretty well. As the day moved on we picked away at the peacock bass, then I suggested to Dave, “lets check out one more spot.” That was where Daniel got this very nice 5 pound peacock. I can’t wait to see the video of this catch, it was an awesome fight! Looking forward to seeing tomorrow when we fish the Everglades.